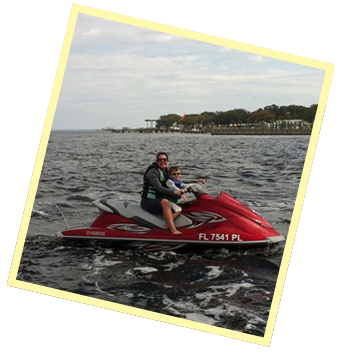 Looking for the jet ski rental Destin locals prefer? Come glide through emerald green waters with our top of the line jet ski rentals. No long waits for the fun to start! At our location we have the smallest no wake zone. This means that you spend less jet ski rental time having to navigate through the harbor and more time enjoying the ride! We provide all the safety equipment you need. 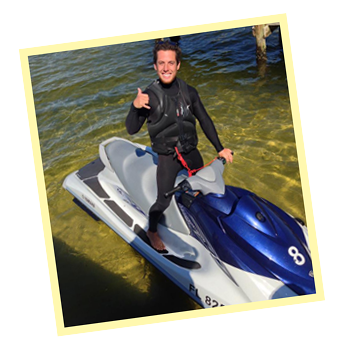 Our expert mechanics make sure that all our jet skis rentals are always operating in prime condition. We take pride in having the most well-maintained jet skis in all of Destin. Come check them out for yourself and book your ride online today! • No Long Idle Time!